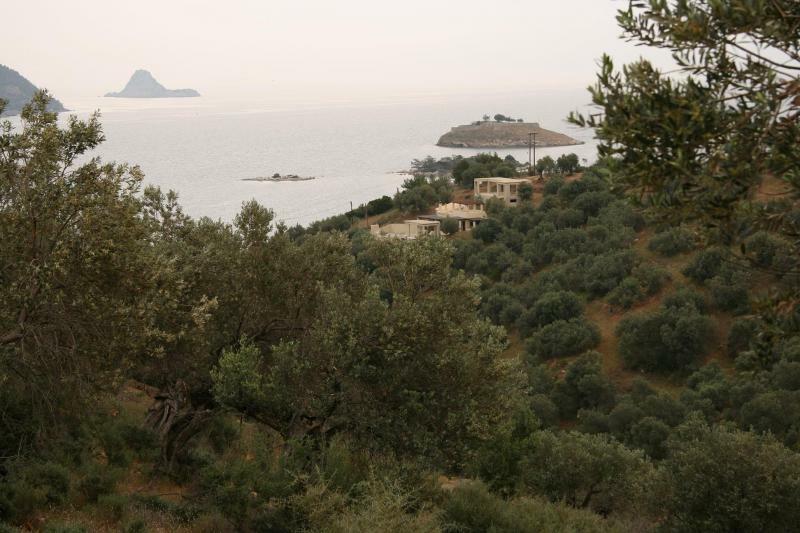 location on a hilltop,with panoramic views towards the sea and Poros,just 250m from the coast.Building permit for 250sqm property,electricity and water,300m from the nearest beach.The plot includes 62 olive trees.One the one side (25m),it borders the street. Poros is an island located one hour from Piraeus by boat.It is separated from the Peloponnese (Galatas) by a narrow channel,ranging in width from 250-400m.The channel can be crossed 24/7.Water taxis depart every 10 minutes and the ferry every 30 minutes. Poros has a very vibrant nightlife.Flying dolphins connect the island to other islands and towns of the Peloponnese.Both Poros and Galatas have marinas for yachts and sea craft,and offer a variety of water sports.Galatas is also located close to various archaeological sites (Epidaurus,Troizina,Argos,Corinth,Eretria etc),as well as the famous Lemon Forest.